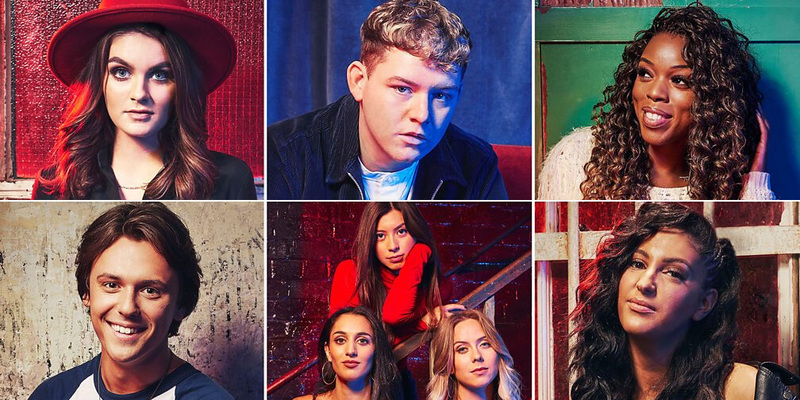 BBC has revealed the six artists and three song titles for the 2019-edition of the selection show "Eurovision: You Decide". The artists will compete on 8 February 2019 in MediaCity UK in Salford to be the British representative at Eurovision 2019 in Tel Aviv. The songs were released on BBC Radio 2's Ken Bruce Show on 23 January 2019. Bookmakers' oddsOdds: Who wins "Eurovision You Decide 2019"? Michael Rice – "Bigger Than Us"
Holly Tandy – "Bigger Than Us"
There will be six acts competing – but only three songs. Each song will be performed by two artists in two different musical styles. There will be three duels or "song-offs", where the best artist will be selected for each of the three songs. Hosts of the show will be the television presenter and actress Mel Giedroyc and former Eurovision winner and host Måns Zelmerlöw (Sweden 2015). 1967: Sandie Shaw - "Puppet On A String"
1969: Lulu - "Boom Bang-a-bang"
1976: Brotherhood of Man - "Save Your Kisses For Me"
1981: Bucks Fizz - "Making Your Mind Up"
1997: Katrina and The Waves - "Love Shine A Light"
...and finished in 2nd place 15 times! They only came last one time (2003), where they also entered the Club Null. United Kingdom is a member of "Big 5", so they don't have to go through the Semi-final qualifications, but are automatically qualified for the Grand Finals.